We live in an age of short-form content; say what you can in 140 characters, show what you see in 6 to 15 seconds. But there are always cheats and tricks, and that’s what Instagram’s new app feels like. 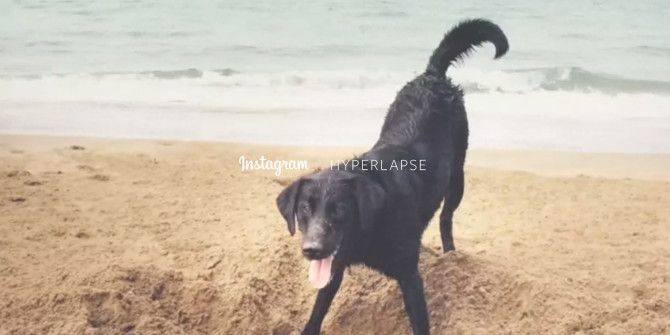 Meet Hyperlapse (free). Put simply, Hyperlapse takes videos that play back faster than normal, like those old Charlie Chaplin movies. Whip out your iPhone (it’s available only on iOS right now) and start shooting any scene. On the left, you’ll see how much time you have actually been shooting. On the right, you’ll see how many seconds that is when played at high speed. That calculation on the right depends on the speed you want, ranging from 1x (normal) all the way up to 12x. Simply put, a 60-second video at 6x would end up being 10 seconds long after it’s sped up. The app could be used for time-lapse videos too, but there’s one basic difference between the two. Hyperlapse photography relies on the photographer (or camera) moving with the scene, which leads to videos like this. Time-lapse photography uses a stationary viewpoint while the scene moves. But you shouldn’t worry about this technicality, for all practical purposes the Hyperlapse app lets you do it all. Hyperlapse takes a video, which is then sped up. It shows actual footage time as well as 6x sped-up time, while shooting. Speed goes from 1x to 12x. You can instantly share the video on Instagram or Facebook. Why Should You Care About Hyperlapse? Creating Hyperlapse videos is incredibly easy, and this can’t be stressed enough. The simplicity of Hyperlapse is its biggest draw. You don’t need to know anything. Start the app, shoot your video, choose the speed, whether or not to share it – and you’re done. It doesn’t get any easier than that and the end result looks like something that should have required a lot more effort to achieve. Because it’s free, there is no reason not to download Hyperlapse. You don’t need an Instagram account, and all of your videos are automatically exported to your Camera Roll. Sharing to Instagram is done using the separate Instagram app, and so is browsing uploaded content. Hyperlapse is also able to stabilize your footage. Apple added auto image stabilization in the iOS 7 camera app Apple Changed The Camera App In iOS7: Here’s What You Need To Know Apple Changed The Camera App In iOS7: Here’s What You Need To Know Every element of the new iOS interface has been updated. In addition to the home screen and menus, this includes core apps like the Camera which form a large part of the iOS experience. Read More , but video didn’t get any love. That changes with Hyperlapse, which will remove the effects of your shaky hand so you get steady video. To enable this you don’t actually need to do anything – check it out in action in the video above. 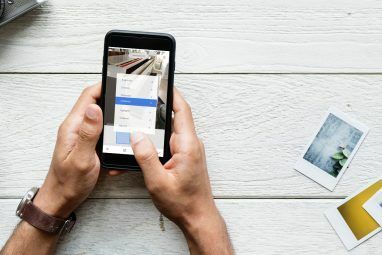 One limitation with Instagram videos The Ultimate Guide To Instagram Video: Everything You Need To Know The Ultimate Guide To Instagram Video: Everything You Need To Know Another major update seen in Instagram since it was acquired by Facebook is the addition of Video updates in June. Are you using Instagram video? Do you know how to shoot a good one? Everything... Read More is that they can be no longer than 15 seconds. With Hyperlapse, you can shoot a long video (10 minutes on iPhone 4, 45 minutes on iPhone 5/5c/5s), and then speed it up to fit in those 15 seconds. Just like that, your 15 second-limitation is lifted. If you want to share your hyperlapse on Instagram, you’ll have to remember the 15-second limit on video. By default the app shows the amount of video you have in real-time (left) and sped-up at 6x speed (right). You have the option of doubling this speed to 12x, which halves the time of your resulting hyperlapse. 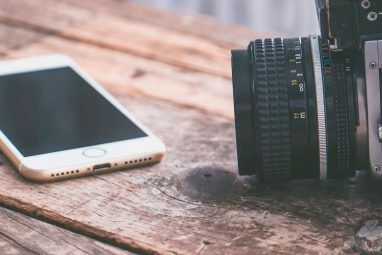 Using this as your basis, any videos you want to upload to Instagram should be no more than three minutes long at 12x speed, or one and a half minutes at 6x. It’s also woth remembering that this is a video recording app, and so will drain your battery pretty quickly. No one has the time or inclination to watch a 5-minute video of an artist drawing a cool comic, or a baker frosting their cupcakes with immaculate precision. But when you take that long process and condense it to a 15-second clip of high-speed human movement, it almost seems like magic. You get to show the effort required for your handiwork and people are more likely to watch it. Seen a great Hyperlapse video or shot one yourself? Share it in the comments, we’d love to watch! Explore more about: Instagram, Record Video, Smartphone Photography.